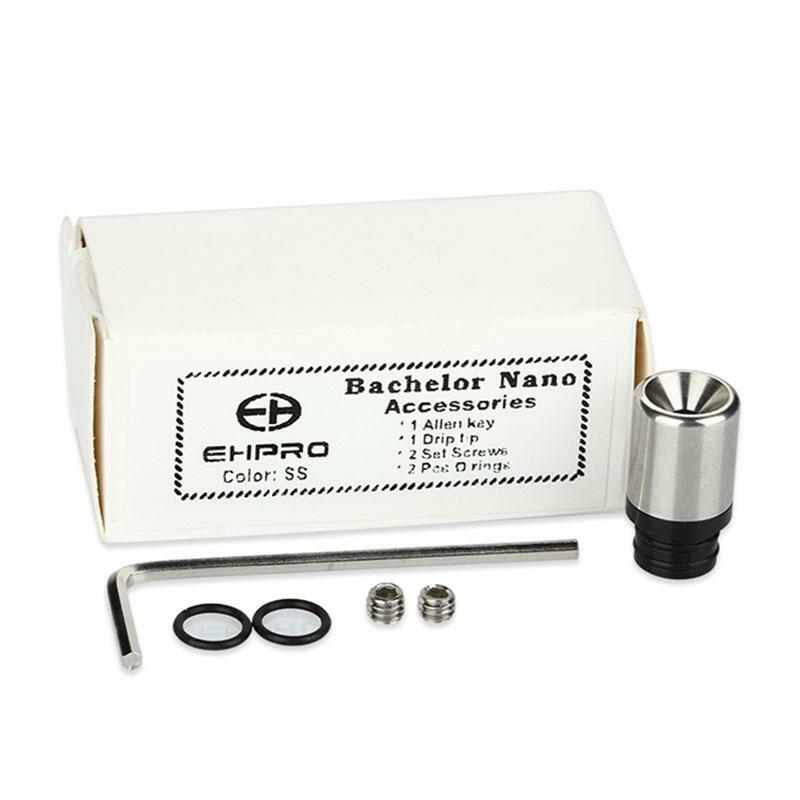 Ehpro Bachelor Nano Accessories, designed for Bachelor Nano RTA Tank. Get it as spare parts for your Bachelor Nano! • It is for Ehpro Bachelor Nano RTA Tank. Ehpro Bachelor Nano Accessories 2ml, inherited great features of Bachelor, is the easiest post-less rebuild-able atomizer with premade ROC coils. These coils bring perfect flavor and huge cloud. High quality machining. Swivel top cap. open/close inlet juice control. Aftermarket upgrades= coils and MTL kit. Easy to rewick. Easy to refill. I can't stop using it. Useful on the go. Leak proof.